Make sure you get fresh air every day. Your brain and each individual cell of your body needs a steady supply of oxygen which fresh air provides. Your body needs sunlight, don’t miss out on it! The sun provides us with well-needed Vitamin D.
Be temperate in your food choices. Even what is good for you should be eaten in moderation. Take time to rest and sleep! Sleep revives your body, restores your brain tissues, recharges your nerves, and more. You will have a healthier and stronger body and it’ll help you stay younger longer. Make your diet a healthy one! A plant-based diet leads to optimum health and energy. Drink plenty of water daily! Water purifies and heals the body. It is the perfect antidote to the negative emotions & stress that can destroy your health. Drink a glass of fresh carrot juice today! Benefits of carrot juice include: Weight loss, improvement in functioning and health of liver and digestive tract, improved eye-sight, and revitalized and toned skin. Drink a glass of fresh beet juice today! Beet juice is a blood purifier and blood builder, helping in the creation of red blood cells. Drink a glass of fresh cabbage juice today! Cabbage juice is good for stomach ulcers and digestion. A great source of antioxidants, vitamins, and minerals. Welcome the first day of spring with a glass of fresh carrot and apple juice! Carrot juice helps in weight loss, improves eye-sight, and revitalizes and tones skin among other things. Apple juice contains a substantial amount of vitamin A which plays a particularly important role in your vision, and many other bodily functions. Drink a glass of fresh beet, celery and ginger juice today! Beet juice is a blood purifier and builder-helps in the creation of red blood cells. Celery juice neutralizes acidity, alkalizes the body, and balances the body’s pH. Also helps balance weight by helping to reduce cravings for rich or sweet foods. Drink a glass of fresh cabbage, cucumber, pear & lemon juice today! Cabbage juice is good for stomach ulcers and digestion. Cucumber juice effectively helps in regulating the body’s blood pH and neutralizing acidity. Pear juice with its antioxidant nutrients is critical in building up your immune system. Lemon juice is a potassium source and therefore an excellent source of energy. Fruits, eaten on an empty stomach, will go through your digestive system very quickly permitting your body to absorb the nutrients with ease and to benefit from many cleansing effects. Melons have a higher water content than other fruits, thus it is preferable to eat them by themselves as they will digest the quickest. Drinking large amounts of liquids while eating dilutes the digestive juices making them less effective at doing their job. Eat salads and greens on their own or combined with either proteins or carbs (not both). Fresh whole greens will aid in digestion by helping to move heavier foods through your system. Liquids, on an empty stomach, easily aid in cleansing the body and all available nutrients will be readily absorbed with no hindrances. Drinking at room temperature ensures that no extra burden is placed on the digestive system to either warm up or cool down the food. Keep your meals simple. If many different ingredients are eaten at the same meal it will be harder for the body to break down. A simple meal will support your digestion and avoid digestive distress. By exercising on a regular basis you will be able to take charge of your anxiety and reduce stress. Exercise works as effectively as antidepressant medication for treating mild to moderate depressions. It releases endorphins which are powerful chemicals in your brain that give energy to your spirit and make you feel good. Endorphins, the powerful chemicals in your brain, are released when exercising and they help you concentrate and feel mentally sharp for the tasks at hand. When regular activity becomes a habit, it can promote your sense of self-worth and make you feel strong and powerful. Exercising in a way to increase your heart rate several times a week will give you more endurance and energy. Make sure the seeds you use to sprout are Organic so you don’t have to worry about fungicides or other chemicals from parent plants. The seeds, grains or legumes you choose to sprout need to be whole, not cracked or broken, or else they won’t sprout. Soaking allows the seeds to absorb all the water they need to be able to sprout afterwards. The seeds need to be rinsed and drained twice daily throughout the sprouting time so that the seeds stay moist. The fully germinated sprouts can be stored in the fridge for up to one week. Fresh sprouts can be used in a variety of ways including salads, sandwiches, as toppings to your favorite dishes and more! Maca enhances the endocrine function. For men it increases energy, promotes mental clarity, etc. For women it treats PMS, nourishes glandular system, balances hormones, and more. Marine phytoplankton promotes healthy skin, stabilizes blood sugar levels, increases vision, and more. Acai berries have antioxidant properties. It is able to rid the body of harmful toxins in a relatively short period of time. Stevia can help regulate blood-sugar levels. It contains various vitamins and minerals including vitamin C and A, and iron and it’s also rich in antioxidants. Chia Seeds are one of the highest known plant sources of essential fatty acids (Omega-3 and Omega-6). Chia Seeds’ soluble fiber helps to stabilize blood-sugar levels. Sacha Inchi is a source of Omega-3 fatty acids. It can boost brain function, ease joint stiffness, support healthy skin and hair, and much more. Make sure to use Wheat Berries which are certified for wheatgrass growing to obtain the best growth. Growing with soil or no soil? You can grow wheatgrass with or without soil. It is becoming increasingly common to grow wheatgrass without soil as it saves the trouble of dealing with soil. On the first four days of sprouting, little to no light is required. After this time, place the sprouting seeds in indirect sunlight. Mold can be an issue when growing wheatgrass. This mold can be caused by hot temperatures combined with excessive humidity and it can also form if there isn’t sufficient air circulation for the wheatgrass. Usually, within 10-14 days your wheatgrass should be fully grown and ready for harvesting. 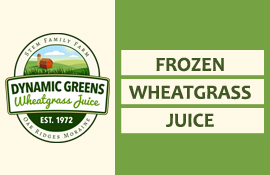 You can juice it and enjoy a fresh wheatgrass drink right away or freeze it for later use. Virgin Cold Pressed: Fresh coconuts are dried and then the oil is cold-pressed. DME (Direct Micro Expelled): Oil is hand-pressed directly from fresh coconuts. Centrifuged: Fresh coconuts are dried and then spun to extract the oil. Coconut Oil, taken on a regular basis, can reduce high blood pressure, alleviate mood swings, relieve constipation, and more! Applying coconut oil topically supports the natural chemical balance of the skin, softens skin, promotes healthy looking hair, and helps control dandruff. 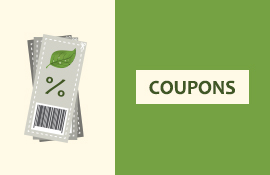 It can be used in salads and soups, on crackers and bread, and as a cooking oil. Pure, unsweetened, and unbleached shredded coconut can be a great way to increase your coconut intake. Delicious in raw, healthy desserts or mixed with fruit. Pure, raw blended whole coconut is a delightful treat. You can use it as a spread on bread or crackers or just eat on its own as a snack. It just melts in your mouth! Flax seeds are high in most B vitamins, magnesium, manganese, rich in Omega-3 Fatty Acid, high in fiber, and high in phytochemicals, including many antioxidants. Flax seeds are beneficial for heart health because of their high fiber content and can help lower blood cholesterol and blood pressure with its rich source of Omega-3 fatty acids. It is preferable to purchase whole flax seeds than flax seed meal. Whole flax seeds will stay fresh for up to one year if stored correctly. Flax Seed meal will not keep for more than a few months. Flax seeds have a very high fiber content so it’s best to start slowly and increase level gradually to avoid cramping, bloating or an excessive laxative effect. To benefit the most from flax, you will need to grind up the seeds. The meal can be sprinkled on cereal, fruits, salads or bread. Avoid taking the meal on its own, as it can lead to choking. Flax seeds can be used as an egg substitute in cakes, muffins, pancakes, etc. It can be used this way because of its soluble fiber and gelatinous texture which adds structure to the food. Make sure they are fresh, with a vibrant dark green color, crisp, and full. Always try aiming for Organic greens as the non-Organic ones are sprayed with pesticides. Usually, younger and more tender leaves of all greens are a little sweeter than larger, more mature, and robust leaves. Give a good wash to your greens before using them. Submerge them in a sinkful of cool water (except for spinach), separate the leaves from the stems, and agitate a little using your hands to remove any soil, debris or tiny insects. You can wash them in advance, dry them very well and store them in an air-tight container in the fridge for later use. Ideally, use-up within 1 week. Start simple: try making a green smoothie with fruit or a salad with less common greens such as kale or chard. A delicious way to prepare greens, particularly kale, is to make Kale Chips. If you have a dehydrator, you just have to try these for yourself! These include: Apples, Apricots, Berries, Cherimoyas, Cherries, Most Grapes, Mango, Nectarines, Peaches, Pears, and Plums. These include: Grapefruits, Kiwis, Kumquats, Lemons, Limes, Oranges, Pineapples, Pomegranates, Strawberries, and Tomatoes. These include: Bananas, Dates, Dried Fruits, Fresh Figs, Muscat Grapes, Thompson Grapes, Papayas, Persimmons, and Sapotes. These include: Canary, Cantaloupe, Casaba, Christmas, Crenshaw, Honeydew, Muskmelon, Persian, and Watermelon. Sub-Acid Fruits combine fairly well with Acid or Sweet Fruits. Acid Fruits combine poorly with Sweet Fruits because they delay the digestion of sweet fruits. Melons should be eaten on their own because they are digested even faster than other fruits. Do some stretching exercises when you wake up. It boosts the blood circulation and digestion, and alleviates back pain. Feeling emotional or tired? Why not go out for a walk? Walking energizes the body and helps to feel more optimistic. It fills your “empty tank" and boosts you up after a long night without food. It can also help you concentrate better at school and work. Skipping meals can lead to excessive hunger which often results in overeating. Try always eating at regular meal times. If you feel hungry and it’s not meal time yet, try deciding if it’s real hunger. If it is, go for a healthy snack such as a fresh fruit of vegetable. If not, try not to snack and drink more water. Some produce pose a higher risk of having high levels of pesticides than others. When it’s not possible to buy Organic produce, thoroughly wash fruits and vegetables prior to eating them. When possible, peel the skin off the produce. Make only the quantity of juice that you can drink at one time because fresh juice will oxidize rapidly. Experiment with various fruits and vegetables so your body can obtain all the necessary nutrients. When possible, try opting for Organic fruits and vegetables because non-Organic produce may have harmful pesticides. Drink your juice preferably on an empty stomach. Your body will absorb more of the nutriments and enzymes this way. Include fruit and vegetable juices daily in your diet for optimum health, nutrition, and energy! The higher the humidity is in the room, the longer your foods will take to dry. It can add a few extra hours of drying time. Using a dehydrator, fresh fruit can be turned into delicious and healthy candies, fruit rolls, or be dehydrated plain to preserve them or munch on them as a snack. Fruit leathers can be made with various fruits including apples, apricots, bananas, nectarines, and rhubarb. You can mix fruits for more flavors and add spices and flavoring such as cinnamon, honey, lemon juice, and coriander. If you have a garden that produces large quantities and you can’t consume it all, why not take the extra produce and dehydrate it for later. You can dry the veggies plain to use in soups or sauces or make vegetable leathers, veggie chips, and vegetable flakes and powders. Herbs and spices are very delicate and so they need to be treated tenderly if they are to retain their valued aroma and flavor. They should be dried on their own as they require lower temperatures & have less humidity than other veggies. A dehydrator can also be used to make granola, bars, raw pizza crusts, dried soup, and more. For these uses, you will need non-stick sheets as the recipe could fall through the mesh sheets. As a result, you will need to flip the foods over half-way through the drying cycle to insure proper drying. Going raw can be a wonderful change in your life and it can definitely improve your health, however, if you don’t feel ready to make such a leap, why not try to be on a vegan diet & incorporating more fresh fruit and vegetables on a daily basis. Don’t try to drastically change a raw foods diet as it may cause a shock to your body, especially emotionally as a result, you might want to go back on a cooked foods diet. Transitioning to a raw foods diet does not have to be gruesome or painful. Eating raw can be just as much fun as eating your favorite cooked foods. 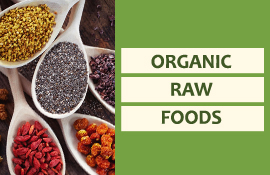 When thinking of raw, it’s easy to think of fruits & some veggies but there are so many possibilities including dehydrated bread and granola, sprouted beans, mouth-watering desserts and the very famous green smoothies! Once you’ve started a raw foods diet, if you happen to be in a situation where raw choices aren’t available or eat something without knowing it was cooked, don’t panic. 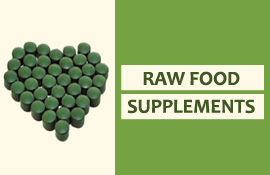 Just continue on your raw diet, as much as is reasonably possible! Make sure you can enjoy yourself with whichever health diet you choose. The moment a diet stops being fun is the moment you begin to think it might not be worth it. Stay strong! The first days might be hard but once you get the hang of things, it will get easier and easier. Blend all ingredients together except frozen berries. Pour into popsicle molds. Add berries while pouring, if desired. Stick skewers or pop sticks in the bananas and freeze for at least 12 hours. Add chopped peanuts into large bowl. Melt coconut oil if solid and whisk in the honey and cacao powder. Dip frozen bananas in chocolate mixture until completely covered. Sit banana on a clean surface and repeat with all the bananas. Dip frozen bananas in the chocolate mixture again and dip right away in the bowl of chopped peanuts. Repeat with all bananas. Put them back into freezer until ready to eat. Blend all ingredients into a dough and press into a pizza plate. Set in the refrigerator overnight for best results. When ready, move on with the sauce. Blend all ingredients until smooth. Spoon over the crust and top with your favorite fruits! Cake Pan: Find a bowl or pan that can hold about 6 cups and line it with plastic wrap or tin foil. Line the sides with your chosen fruit. Ice cream: Blend all ingredients until smooth. Pour into pan or bowl and put in freezer until solid, about 3 to 4 hours. Brownie crust: Put the walnuts, oats and cacao in a blender and pulse until they become flour. Add dates and process until combined. Press onto the "top" of your ice cream cake which will later become the bottom when you flip it. Put in the fridge for about 1 hour to let everything set. Then carefully flip your cake onto a plate and take off your lining. Enjoy! Place all ingredients in a bowl and stir until well combined. Drop by small quantities into a lined mini muffin pan and place in the freezer for at least 30 minutes before eating. Store in the freezer. Place mint leaves and almonds in food processor. Process until ground fine. Whisk together honey, agave and coconut oil. Mix together coconut, almond mint mixture and agave mixture. Take a tablespoon and dip into hot water, pack mixture in spoon and then turn out onto a mesh dehydrator sheet. Dehydrate for at least 6 hours or until desired dryness is achieved. You can start the dehydration at 140 for the first hour, then reduce to 115. Cool. Mix all ingredients together. Dip macaroons in cacao mixture and refrigerate. You can let the cacao mixture cool a little before dipping for a thicker chocolaty coating. In the heat of summer, drink water frequently. Keeping hydrated will make your body feel cooler. Try drinking at least 1 cup of water every hour. Your head will cool with the evaporation of the water. Alternatively, wear a bandana or terrycloth headband soaked in water. Soak your feet in cold water! The body’s heat is radiated from the hands, feet, face, and ears so by cooling any of these, you will efficiently cool your body. Wear loosely-fitting, natural fabric clothes allowing air to pass and cool you down. Light colors are a plus. Darker colors will absorb the sun’s heat and stay warmer longer than light colors which reflect light and heat. Stock your freezer with your favorite Raw, Vegan frozen treats! Cooling yourself down can be a tasty experience! Adding a little spice such as cayenne pepper and hot peppers to your food can help cool you down. Spicy food increases perspiration which then cools the body as it evaporates. Want to make healthy snack choices this summer? 1. Watermelon: A delicious, cooling and watering snack, perfect for a sweaty-hot day! 2. Fruity Water Pour fresh water into a water bottle and then add slices of fresh orange, lime, ginger, etc. 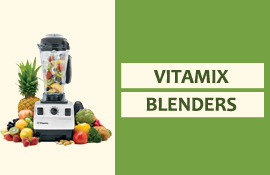 Shake it up and enjoy the delicious, fresh fruity taste! So much better than those sugar-filled sports drinks! 3. Raw Crackers Let’s dehydrate those nuts and seeds! You can take nutty crackers on picnics or to beach trips and snack on them with no guilt! 4. Icy Smoothies Can’t stand the heat? ...Get some ice, fresh fruit, and a few nuts, add some mint leaves and raw sweetener and blend it up. You’ve got yourself a real shake! 5. Summer Salads: Prepare bases with a variety of fresh leaves including arugula, romaine, watercress, and pea-shoots and then add tomato slices, diced cucumbers, olives, seeds and top off with a fresh, homemade salad dressing! 6. Seasonal Fruit No time to make a smoothie or dehydrate crackers? Why not snack on fresh, seasonal fruit such as strawberries, blueberries, and raspberries. When eating out on a raw vegan diet, make sure to pick the right type of restaurant. Check for restaurants that serve salads, or other raw options like fruit. Most likely, the only thing you’ll be able to order from the menu is salad. It can be a chicken salad without the chicken or an order for a double simple garden salad. Eating salad might sound unexciting but can actually turn out into something really fun. Don’t be afraid to ask for a “customized" salad. You can create by looking at the menu for other dishes with perhaps avocado or red peppers and ask that these be added to your salad. 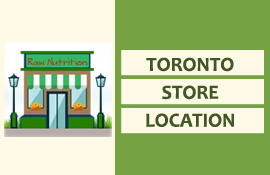 For your protein, fat or carbs, you can bring some nuts and seeds, dried fruit, crackers, or a raw food bar in your purse or pocket and add them to your meal. If you don’t feel comfortable dining out with others on a raw food diet, you can always eat beforehand and let the others know you had a late meal. Be sure, though, to bring yourself a little snack in case you’ll be out for a while. When other people ask about your diet, try having a simple definition planned and memorized that you can give them. It can be like: I’m trying out something new for a while or eating this way makes my body feel good. We all have our strengths and weaknesses even when it comes to food choices and depending on what we’ve gone through we’ll see things differently. It’s easy to think that our way of understanding or seeing is the best, but in reality, is it? It can be a great ideology but that doesn’t mean someone else’s is of lesser value. Making specific health choices sometimes leads to feeling like we’ve broken rules according to others’ comments. There isn’t a one-size-fits-all approach-each choice should be respected! If you’ve found out what the best food combinations are and are eating entirely Organic and non-GMO foods, that’s great! If you find pleasure in that, keep it up! But it’s not a reason to pin someone else down if they aren’t doing the same. Whether one’s raw, vegan, vegetarian, omnivore or whatever else, we can show love and respect to each other. We are all at different places in our lives and understand things at different times. Whatever health choices you’ve made, what’s important is that you are comfortable with what you are doing. Live it out and enjoy life!